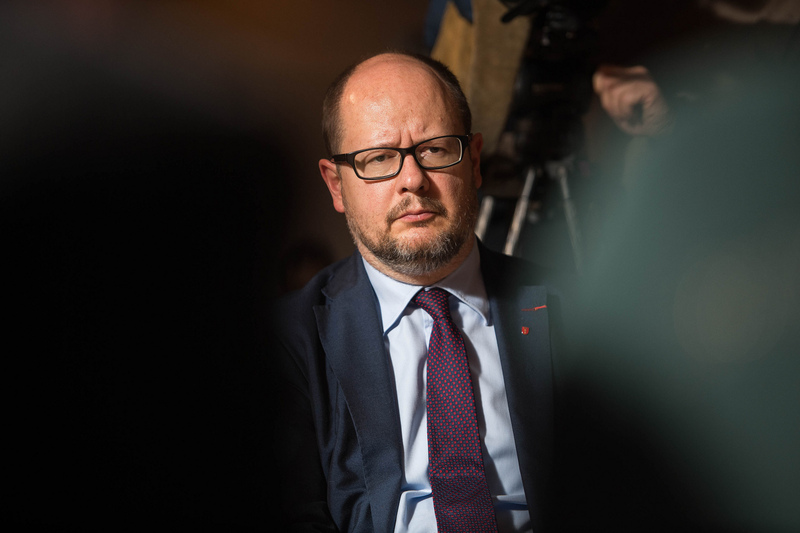 Editor’s note: Paweł Adamowicz, the mayor of the Polish city of Gdańsk, died on January 14th 2019 as a result of a stabbing on stage during a charity event. 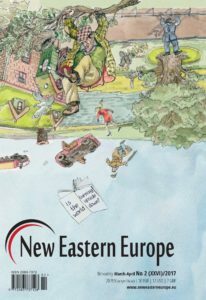 It is thanks to Adamowicz that New Eastern Europe was established in 2011, when he suggested that the city of Gdańsk and the European Solidarity Centre be the funders and co-publishers of the project. His murder, a result of a senseless act, has shocked the Polish nation. 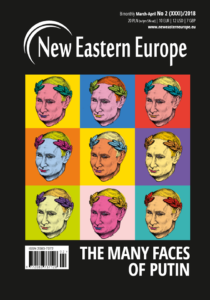 We honour his memory by republishing this interview that was done with him in 2016 where he shared with Iwona Reichardt, NEE’s deputy editor in chief, his experience managing through the transition and his vision for how to share this experience with our neighbours in Eastern Europe. IWONA REICHARDT: Starting in 1990 Poland began to undergo the first stages of significant reform at the local government level. The communist national councils were replaced with democratically elected city councils. You were among the first elected deputies to the city council of Gdańsk. What are your memories of those early days? 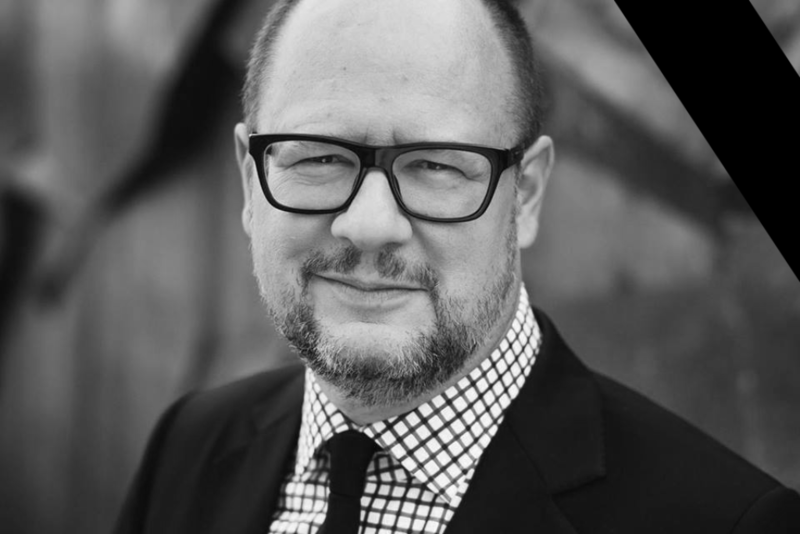 PAWEŁ ADAMOWICZ: My work for local government formally began in May 1990, when I was elected for the first time in my life to the city council in Gdańsk. I was 25 years old at the time and my knowledge about local government was purely theoretical and academic. 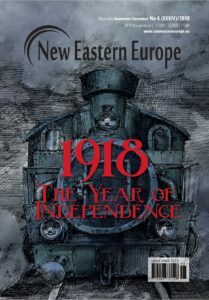 A lot of it had come from books that had been published in Poland before the Second World War, as well as some western publications. The truth is, outside of my theoretical knowledge, I had no practical experience of local government and neither did any of the other candidates for the council. Thus, I devoted my evenings to reading about local governance. Meanwhile, during the day, I taught it. My students were the other candidates for the city council. I also travelled throughout Poland and, as a recent law graduate, I became a coach. This was one of the most fascinating periods in my life; full of optimism and energy. 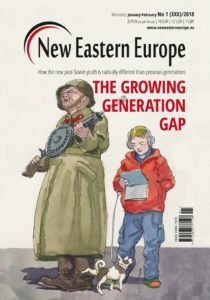 Professor Jerzy Regulski, who was one of the lead architects of local government reform in Poland, recently stated that its implementation on the scale that was undertaken in 1990 would be impossible today. He also noted what you just said: that at that time, nobody had any experience of democratic governance at the local level. Despite that, those reforms are regarded as some of the greatest Polish successes of the last 25 years. Why? The assessment of Professor Regulski is a post-factum assessment. His words refer to the direction these changes have led to, not to what was begun in 1990. He speaks about the whole process in which the local leaders and activists, such as myself, were learning their roles and responsibilities. New opportunities were created and thankfully, everything has progressed in a very positive direction. However, without the energy and enthusiasm that I mentioned earlier, the reforms would have been unsuccessful. Therefore, it was not just the reforms themselves that were a success, but the whole process of implementing them and learning from them. What was this process of learning like? Our first lesson was in 1990 with the local elections, or to be more specific, the preparations for them, which excited many people. Citizens’ committees were established in every district based on a bottom-up approach. People were abandoning their underground activities and beginning to operate legally. Their involvement in distributing anti-regime brochures morphed into interest in their local situation. I vividly remember the discussions at these committees, where we discussed issues like the quality of drinking water and beautification. We were slowly becoming citizens responsible for our own localities. Another important lesson we learnt was about the free market and entrepreneurship. Under communism everything was state-owned. In the early 1990s privatisation was introduced, which was also a spontaneous bottom-up process. It was supposed to be regulated by the local authorities, who did not really know how to handle it themselves. Local authorities took over a significant number of state-owned enterprises. For example, in Gdańsk, the local taxi company and brewery were among the first to be privatised. This was an accelerated lesson in local capitalism. At that time, there were discussions about whether this newly-born free market would be truly free or whether it would be subdued by – mind my words here! – the democratic government; whether we would have a communal economy or “communal socialism”, as it was called back then. In other words, there were serious debates about local governments having to quickly privatise state enterprises and whether they should own them and become shareholders in them. Different models were proposed. Gdańsk took a decisive path of privatisation, whereas Gdynia took a more communal one, introducing privatisation more gradually. Another important challenge was decommunisation of the city government. A commission was set up to verify the workforce. It is important to acknowledge that even though this commission was composed of former oppositionists, who had often experienced harm and harassment from the communist authorities, in Gdańsk at least, (I don’t know what the situation was like in other cities) there was no atmosphere of revenge, no witch hunt. Intuitively, we understood that there was nobody who could immediately replace the incumbent communist personnel and that we would have to do so in an evolutionary manner, step by step. The process of exchange was spread over ten years and did not take place right away. It was a very stormy period. It was also a time when the local political scene, as well as leaders and opinion formers, were taking shape. Journalists also had to learn what local governance was all about and how to cover it in media. The success of the last 26 years is certainly impressive, but all roses have thorns… What were the failures and where is there still work to be done? Where we did not succeed, and it is questionable as to whether we ever could, was the mass engagement of citizens. When we conduct public opinion polls here in Gdańsk we can see that since 1996, people have become more interested in local affairs, but this interest is still at a much lower level than that recorded in Western Europe. Voter turnout and other indicators of civil activism suggest that we are dealing with a civil society in status nascendi. Furthermore, although in 1989/1990 we were saying that it would take a few generations to leave communism behind, the truth is that we did not really believe in what we were saying. Lech Wałęsa has said that for Moses, it took one generation to bring his people to the Promised Land, adding jokingly that in Poland, we have neither a desert nor a Moses, and nor was our journey from Egypt to the Promised Land. 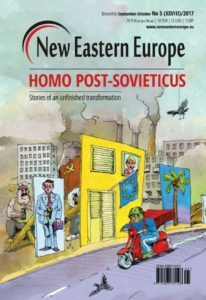 Today, we may be one sociological generation away from communism, but homo sovieticus is still here and making its presence known. How does it affect local governance? Local government leaders, deputies and mayors should all be animators of local life. However, they rarely are because they are scared of creating an alternative to themselves i.e. opposition or possible successors. As a result, local governments stay focused on investment, rebuilding and the whole technocratic sphere. By doing so, they have drastically increased the standard of living for their residents, which is without a doubt an important success. Yet despite that, we still lack imagination, patience and perspectives on how to build a community of citizens. This is now our biggest challenge. We know, both from literature and social practice, that civil society is not about enlightened absolutism imposed from the top. It takes place through the activism of different entrepreneurs and people of different professions and ideas, as well as through public disputes and conflicts. That is how civil society is created. In Poland we talk a lot about ways of enforcing this process. We have projects whose purpose is to achieve this, including a citizens’ budget, open data and social consultations. Of course, the internet and social media websites such as Twitter and Facebook have been instrumental in creating direct contact with citizens, despite their adverse aspects like online hate speech. Even so, I still believe that their net impact is positive rather than negative. Moreover, it is important to acknowledge that the local authorities in Poland are closer to citizens now than ever before. Local government is more transparent and accessible. Whilst this does not apply to every single mayor, a great majority of them are. 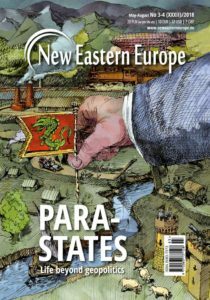 Nevertheless, there is a major debate in Poland that keeps coming around about how the central government should impose regulations on local authorities. Personally, I am against overregulation. I believe that there has to be a certain amount of room for freedom of local expression and flavour, and I fear state paternalism. In addition, I disagree with the belief that central government has the best understanding of local needs. However, this view is still prevalent and characteristic of all Polish political groups, regardless of their orientation. Finally, it is important to note that the EU funds which are made available to local governments help create metropolitan areas and help the authorities co-operate and overcome local particularities. However, the truth is that in spite of the funding, co-operation between neighbouring communities is still pretty weak. This is probably because local leaders and their communities still often have mental blocks about these sorts of things. They still do not see the value of local co-ordination, co-operation and compromise and how it can reduce costs and increase effectiveness, as well as attract investors and improve their overall quality of life. Luckily, we have been able to overcome this barrier in our local region and as a result, we now have the Gdańsk-Gdynia-Sopot metropolitan area. This area is regarded as an important urban centre in both northern Poland and the southern part of the Baltic Sea region. Thanks to the Small Border Movement agreement, it is also a destination for many Russians, who come here not just to shop but also to share experiences and co-operate with Gdańsk-based organisations. This shows the potential for soft-power activities in the area. What is your experience of this? My personal interactions with Kaliningrad and its authorities began in the 1990s. I remember the negotiations regarding the first agreement on co-operation. They were difficult but ground-breaking times. Today, representatives from Kaliningrad’s authorities often come to Gdańsk. We train them and share our experience with them. The same can be said about partnerships with non-governmental organisations. However, their activities are unfortunately heavily dependent on financial resources and the political atmosphere in Russia. Nevertheless, when asked about the effectiveness of these visits, I would say that it is difficult to assess to what extent they have resulted in behavioural change, new administrative practices and an improved political culture. I have personally had several meetings with residents of Kaliningrad, with whom I have discussed our experiences. Did these talks make you more optimistic or pessimistic? 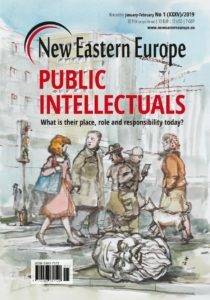 Let me put it this way: when I said earlier that civil society in Gdańsk is in status nascendi, the same is even truer of civil society in Kaliningrad. Thousands of Russians come here and observe our media and civic activities, but the process of comprehension is very slow. In my view, it will be the residents who will make decisions in times to come. Let us see what comes from it. Gdańsk is also partnered with cities in Ukraine, a country that is now undergoing system reforms which could be comparable to those that Poland experienced in the early 1990s. What would you advise your Ukrainian colleagues who want to make their country as strong and prosperous as Poland is today? Before I answer your question, let me make one disclaimer: I am not a specialist on Ukraine and I do not know the local context very well. Nevertheless, I can share with you a few reflections regarding the overall situation that I am familiar with. In addition to the national changes that are being introduced in Ukraine, a few experiments should be encouraged as well. What I mean by this is that certain localities which the government deems to be “ready” should get more rights at an earlier stage than others. In Poland we had a series of “pilot projects” which were used in smaller areas before being introduced at the national level. It meant that we were able to gain experience in certain areas and subsequently adjust our ideas and policies for wider implementation. Certainly, the mode of introducing reforms is very important and requires determination and total commitment. It is also very important to find time and money for the training and monitoring processes, utilising both internal and external sources if necessary. In the 1990s we travelled a lot to France, Denmark and Sweden for different forms of training. That is why, in my view, it is very important that Ukrainian oblasts have partners in European states and that these are genuine partnerships. For this reason, I often meet with Ukrainian journalists, representatives of Ukrainian NGOs and local authorities. Nevertheless, it is vital that these interactions are tactful and are not perceived to be a new form of colonisation. You are a member of the European Union’s Committee of Regions. 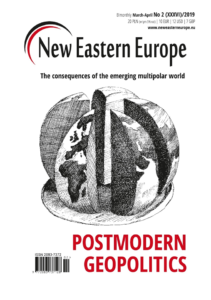 One of its strategic aims is political and economic co-operation with Eastern Partnership states. 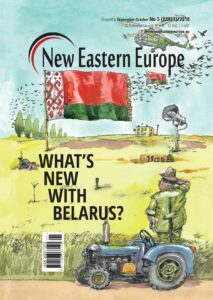 Yet the EU’s Eastern Partnership programme seems to be in crisis. Do you think local governments can break the current impasse? A year ago I was in Yerevan in Armenia, listening to representatives from Armenian, Georgian and Ukrainian cities. It was from them that I learned how much those places need the Eastern Partnership. 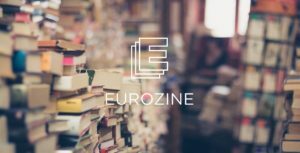 They argued that it should not cease to exist and that although the amount of resources the EU puts into this initiative is not large, especially when compared to other programmes, it is still significant. That is why if I were to advise the EU on how to advance co-operation with partners in the East, I would recommend getting more local actors and practitioners involved. I remember in the 1990s when I was trained by the Germans, French, Danish and Dutch. Now, I see it as my duty to pass on this knowledge further East. The selection of people is key, as is avoiding routine and Potemkin villages. That is why it is important that trainers who go to the East are supported with financial assistance. We need to avoid situations where a trainer arrives, gives a speech, maybe even helps initiate a project but then leaves and nothing is continued. There needs to be constant interaction and support. I am convinced that the mayors of cities in the former Soviet bloc that are now EU members can be credible messengers of knowledge about local governance and the EU. Our partners in the East need to feel that they can count on us. There is nothing worse than a quick loss of interest. 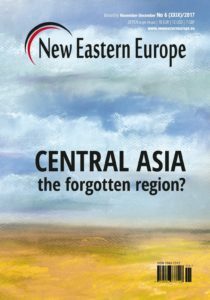 Do you think that citizens in these Eastern European cities will develop a sense of responsibility for their locality, such as we see in the West? Of course. 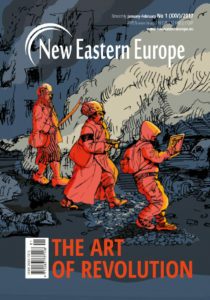 In my numerous conversations with Georgians, Armenians and Ukrainians, I have noticed that these people have already discovered (or are on the path to discovering) the future of their cities. They are involved in the process of building their communities and creating civil roots for them. I see a lot of local leaders who are champions of change and we need to support them, but at the same time, not expect too much of them straight away. Change will often be two steps forward, one step back. That is why we need to be patient and persistent. Looking towards the future, what are the main challenges facing us at the local level in our region? In my view local leaders can do a lot to build a pro-EU atmosphere and encourage co-operation. Naturally, this requires character, courage and determination. The key issue in Europe today is refugees. In Gdańsk, we discuss this matter widely. There are many fears and residents are very concerned. I try to go against mainstream opinion and explain that should the Polish government decide to accept refugees, it is our moral responsibility to host them in our city. Of course, this calls for the preparation of an integration policy and for this to be effective, we need to co-operate with local NGOs that work with immigrants. It is also important to celebrate our membership in the EU and what it means for us at the local level, which frequently seems abstract to many people. I often argue that it was not the EU that funded something in our city, like a road or a bridge, but European tax payers like the Dutch, the Germans, the Swedes or the Brits. This is how we should be constructing language around the EU, by staying away from bureaucratic jargon and highlighting the human dimension. Finally, in the face of what is going on in the world, particularly the conspicuous changes in Europe and the United States, it seems that local governments still represent something of a base. It is possible that in the next few years, although there could be major changes in the system of managing states and international organisations, local governments will continue to be the foundation of democracy. from 1998 until he was murdered January 13th 2019. 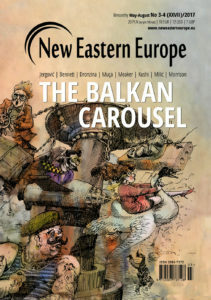 Iwona Reichardt is deputy editor in chief of New Eastern Europe.